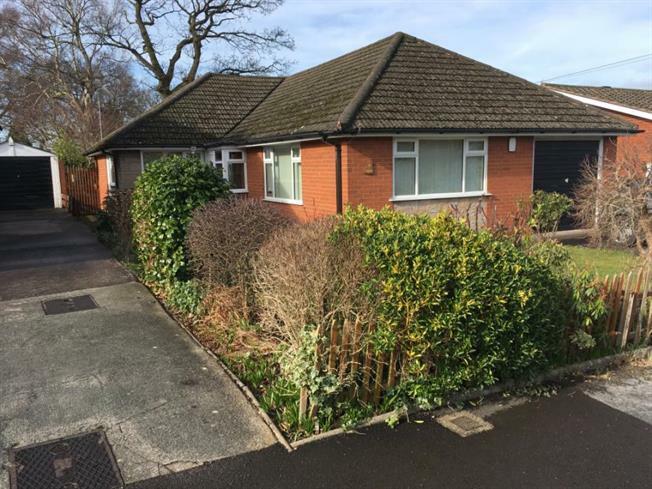 2 Bedroom Detached Bungalow For Sale in Stoke-on-Trent for £225,000. A traditional spacious two bedroomed detached true bungalow located within walking distance to the Village and bus stops, set in a cul de sac position with a good sized plot and a single garage which could easily become a third bedroom and a significant amount of loft space with headroom, which would be ideal for conversion. The property is ready for occupation now but it also represents an excellent opportunity to develop your perfect home. Internally, the accommodation briefly comprises entrance hall, spacious lounge, kitchen, separate dining room, conservatory, family shower room and two great size bedrooms both with built in wardrobes. Offered for sale with No Chain.